A few months ago, I decided to chop off my hair. I figured it would be a nice change for summer, and was so thrilled with the end result -- the angled cut was different enough from what I normally go with, but not too out there (I'm always hesitant when it comes to taking big hair risks) and overall the short length made it super easy to maintain and style over the scorching hot months. But lately, I've been itching to get my longer locks back... which is why I was super excited when Not Your Mother's sent me a few products from their new Way To Grow line to try out. 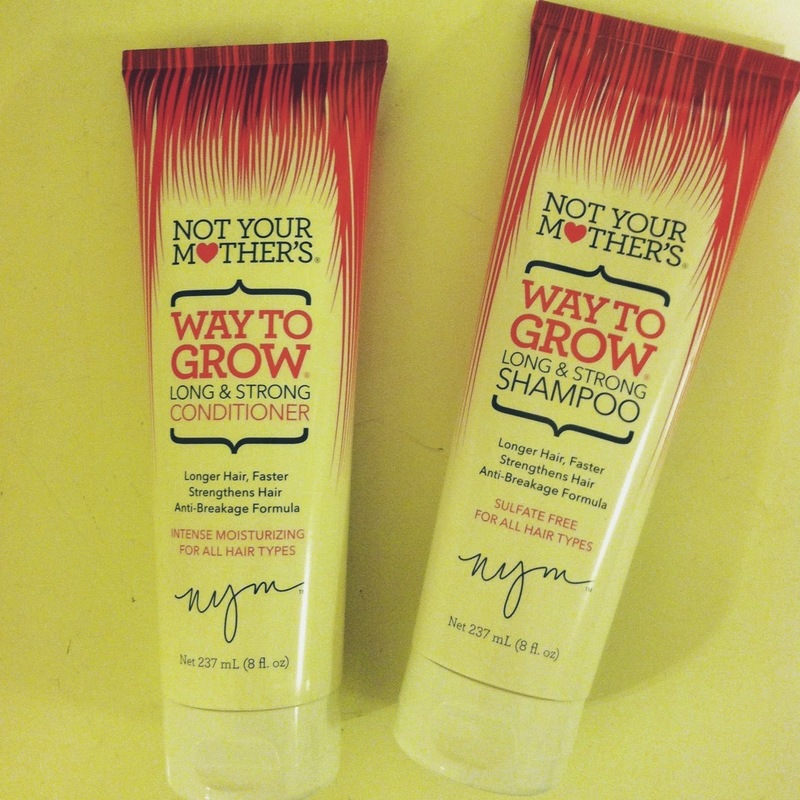 I received the Way To Grow Long & Strong Shampoo, Conditioner, and Leave-in Conditioner and have used all three products a handful of times since receiving them. The Way To Grow line promises to strengthen hair with its anti-breakage formula, made with "essential vitamins, herbs, and bioactive extracts." While it remains to be seen if the products will really help speed up the growing process, I can truthfully say I'm beyond happy with them so far. I instantly feel a difference in the texture of my hair. I've tried using all three products together and have also used the conditioner and leave-in conditioner alone, and each time my hair feels extra soft and healthy. I also feel like, when curling my hair immediately after using these products, the curls just look healthier and better overall. I will definitely be purchasing at least the conditioners after I am done!